People who want to buy a gift for a gardener often don’t know what to get. They see an item that they think might be nice, but then wonder if it’s really useful or whether the gardener already has it. I compiled this list with help from Jeff Salmon, president of Arbordale Nurseries & Landscaping, 480 Dodge Road, Getzville. There isn’t much color in your garden during winter. One way to add color is by attracting colorful song birds, Salmon said. 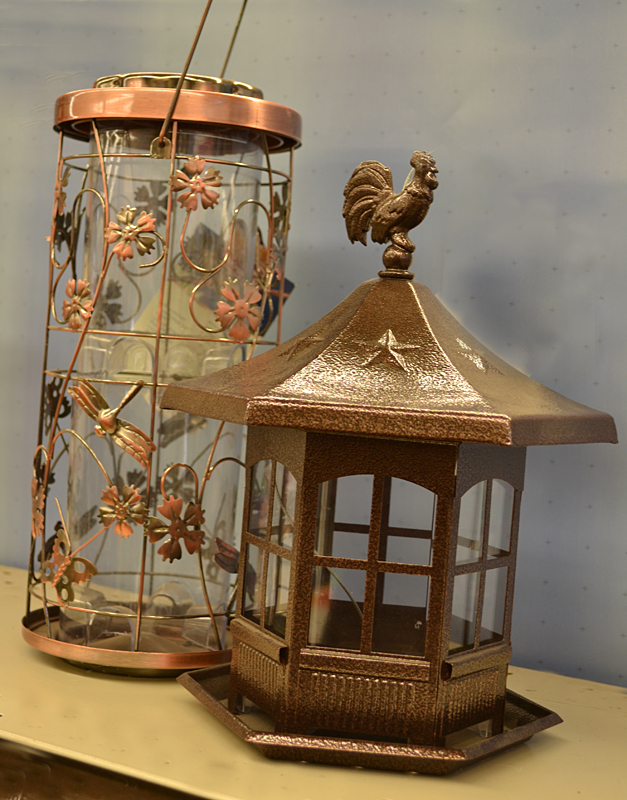 Bird houses and bird feeders also make great gift for grandparents, he said. You might not realize that you can use solar lights in your garden year-round. My first question was, if you got solar lights for Christmas, how could you add them to a frozen garden? If the lights are on stakes, you could you can poke the lights into the snow, Salmon said. He added that not all solar lights are fixed on stakes. “Everybody needs an extra pair of clippers,” he said, and I definitely agree. Pruners tend to get misplaced. One time I set mine down and couldn’t remember where I left them. It was days later that I spotted again them in my garden, obscured from view by some tall plants. It’s nice to have a back-up pair. People also put up with poor tools for too long, Salmon said, and your gardening friend might need something new. When Arbordale offers free sharpening, people will bring in tools that can’t be helped by sharpening. When it comes to hand pruners, my advice is to buy something very sturdy that won’t bend easily. 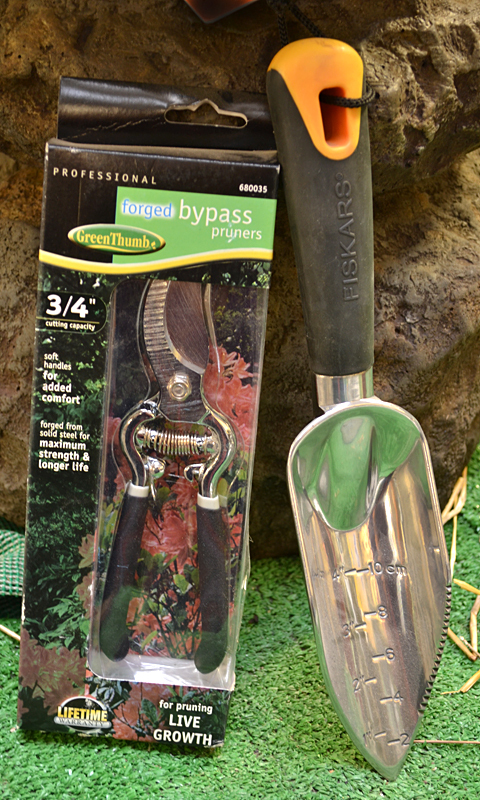 Your gardening friend will thank you. Any kind of sturdy digging tool is helpful, too, even if the gardener already has one. 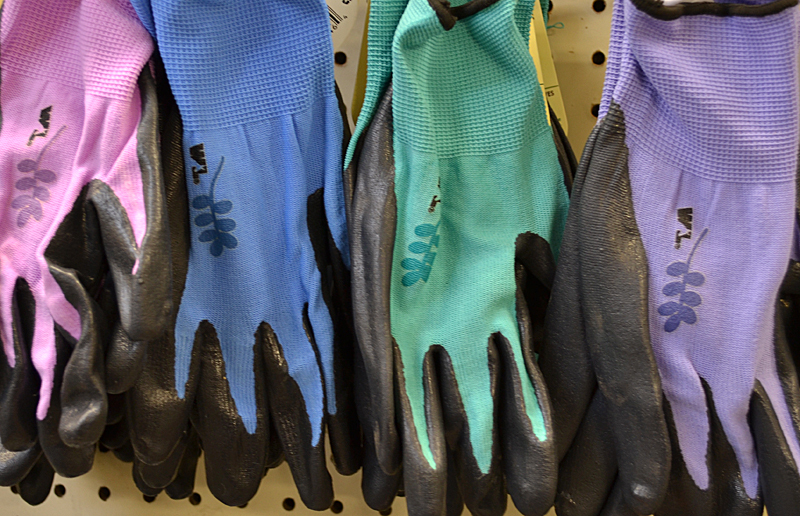 Gardening gloves are something else that you can’t have too many of. “I like the ones with the neoprene coating so they’re waterproof,” Salmon said. They’re by far the most popular, he said, and I can understand why. 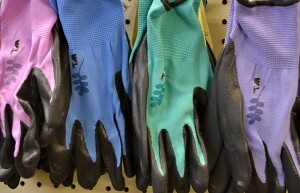 Unlike fabric gloves that allow muddy water to seep right through, the neoprene-coated gloves really keep your hands clean. “They come in so many nice colors, so it’s an enjoyable gift,” he added. Sometimes you know there’s something special your gardener would like, such as a new pump for their pond, but you have no way of knowing which one to choose. Arbordale sells gift cards, and that’s a great way to make sure your gardener gets just what he or she wants. I always appreciate gifts of garden items, any gardener would. Yes, there should be no angst involved.